Small businesses can use that statement as a cornerstone for implementing and maintaining their digital presence. It’s not enough to have a website if you’re not consistently updating and optimizing its use. It’s not enough to have a presence on Facebook if you’re not using the social medium to be social. It’s not enough to establish a digital footprint and then never worry again about how outside influences or a lack of attention may impact it. In this ever-changing information age, small businesses must be active and strategic in the digital world, not just be present. Here are five steps you can take to keep your digital presence fresh. To help a visitor understand the center’s mission, interim director Nathaniel Plant and deputy center director Christopher Reich turn to a Topobathymetric map of Tampa Bay. Every small business should have a website. That almost should go without saying the it. 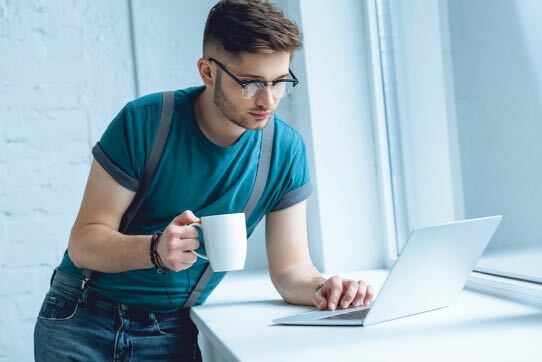 A 2017 Clutch study indicated that 29 percent of small businesses were still operating without a website, but that number was expected to shrink to roughly 8 percent by the end of 2018. But, while its critical to have a site, it must be effective. As content management specialist Kimberly da Silva wrote for BiznessApps, the site often serves as the first impression potential customers have of your company. How many times do you get to make a first impression? You know the answer. You can accentuate these points by creating a landing page that hits on the high notes regarding contact information and accessibility. As noted by interactivemarketing.com, you have approximately eight seconds to draw the attention of a visitor to your page, or the same amount of time a bull rider tries to stay atop a bronco. “Your page must utilize the most effective design tactics possible to keep your visitor’s attention and readily satisfy their needs,” Startup Change co-founder Ellie Martin wrote for Duct Tape Marketing. The land elevations in red are relatively high and not likely to flood. The deep blue represents the water. The green hues on the map represent land that is potentially susceptible to storm surge during a hurricane or increasing sea level rise brought to Tampa Bay’s shores by the daily high tides. Before you decide how to freshen your digital presence, you must assess your current efforts. Analytics can be used to create an entire set of measurements ranging from number of visits to how much time customers and potential customers spend on your site. A quick poll (think Survey Monkey) also can reveal key data points. The assessment should go beyond the number of customers and delve into the type of customer your site draws. Once you have the data, use it to improve your presence, starting with your website. However, also look at different social media platforms and make key choices. According to status brew, close to half the world’s population is on social media, and 81 percent of small businesses maintain a presence on two or more platforms. With the new data you’ve acquired, decide which platform best suits your business and the audience you hope to reach. There’s more than just Facebook and Twitter. Pinterest is widely held as a platform that’s ideal for reaching women. Instagram skews younger and offers a more visual-driven platform. Sparxoo associate vice president Crystal Lauderdale says to maximize your impact while managing your time, focus on two or three channels that have the best chance of reaching your audience. Web sites and social media platforms must be routinely energized with engagement. The most effective digital presence connects with customers and site visitors on a personal level. Consider an approach Tampa-based fast-casual restaurant PDQ implemented on Twitter. A few years ago, it took a little-known designation – Jan. 24 is National Compliment Day – and set out to compliment all of its followers on Twitter. It also complimented all its restaurant guests with a free cookie and a compliment, but the social media effort not only created engagement, it earned the restaurant attention from local media outlets. “Our social and digital presence is a major focus of our marketing strategy as a brand and is paramount in engaging with current guests and new followers on social media,” said Jeffrey Kamis, vice president of media and public relations for PDQ. Lauderdale, the Sparxoo associate vice president, said engagement also involves regularly posted blogs and other content that not only keeps your website and social media fresh, but improves your site’s search rankings. The better content, the more people will share it on various platforms. 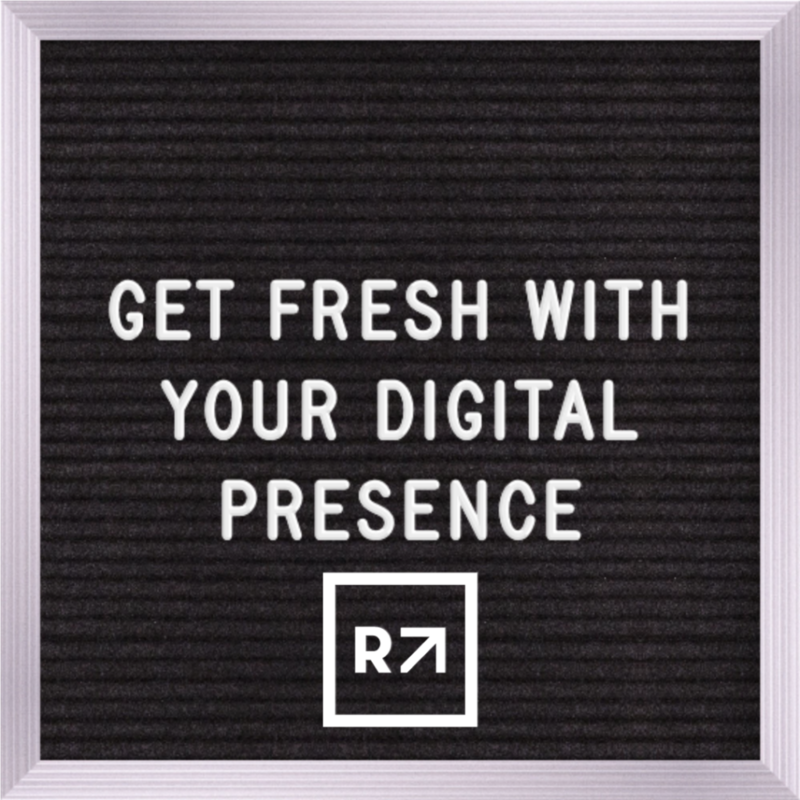 Of course, a small business that doesn’t have the aid of a marketing staff may feel overwhelmed with the demands of staying fresh in the digital world. Lauderdale recommends creating a calendar to outline plans for thought leadership, blogs, social media and videos. “This can be as simple as a spreadsheet or a dedicated calendar in your email platform of choice,” Lauderdale said. “Set target dates for writing and publishing and stick to them. No, we’re not talking about moving around in your car or the decorative structure that hangs over a child’s crib and spins in the air. The mobile phone dominates life in our society today and many people use it when searching for specific businesses or ideas. Your web site needs to be adaptive – able to be displayed on iPhones and Androids. According to Statista, nearly half of all website visits came from a mobile device. And of course, the number of smartphone users is projected to go up to 2.5 billion by the end of the year. Yet with some sites, you have struggle to manage even simple tasks. A site visitor might have to enlarge it to find certain buttons, or it may load slowly. Big companies have skirted around the issue by creating apps, but small businesses that don’t have the budget for such development may be better off making their regular sites adaptive. Even some companies with apps, like media outlets, constantly focus on how their sites present on mobile devices. The focus involves not only content but photos, which almost always need to be scaled to a 16:9 ratio to be fully viewed on mobile phones from your site and on social media platforms. A lot of web designers insist their sites possess adaptive response but investigate and even if you have it and determine what your customers and potential customers see when they access from a mobile device. DaSilva, the auther for Bizness Apps, says web sites should be able to fulfill these four requirements to be successful on mobile: load in 3 seconds, feature a key message or selling point that immediately catches the eye, be easy to navigate and have a prominent call to action. SEO remains a critical aspect to keeping your content fresh on the site. Its demands continue to evolve and change as social media platforms change algorithms and the science becomes more exact. You must work to keep up the trends, but it’s worth the effort. It’s tantamount to identify key search terms that will help elevate your site in search engine results. At the same time, understand how key platforms have eliminated some terms and phrases that once drove traffic. Once, the phrase, “You won’t believe” typically drew interest on Facebook and Twitter, but no more. It’s an effort by the platforms to minimize click bait. Determine what works and what doesn’t and seek expertise if necessary. Martin, the co-founder of StartUp Change, advises small businesses to take advantage of the entrée of services offered by Google, such as Google My Business. Another key step: take advantage of near me searches. More and more people aren’t just searching randomly but specifying location in their searches. A lot of mobile devices do it automatically if the user has activated the “location services,” another growing trend given the rise in ride sharing and other factors. Research from 2017 indicated that one-third of all mobile searches are relocated to location and that number surely has grown in the months that have followed. “In order to capitalize on these micromoments, you need to optimize your small business’s presence for local searches,” writes Andrew Gazdecki, the founder and CEO of Bizness Apps and a Forbes contributor. Gazdecki recommends focusing on local business directories (think Yelp) or directories that apply specifically to your business’ niche. At the U.S. Geological Survey’s St. Petersburg Coastal and Marine Science Center, “rising tide” takes on a different focus. Topobathymetric? Big word for a big map, but it’s a big deal. 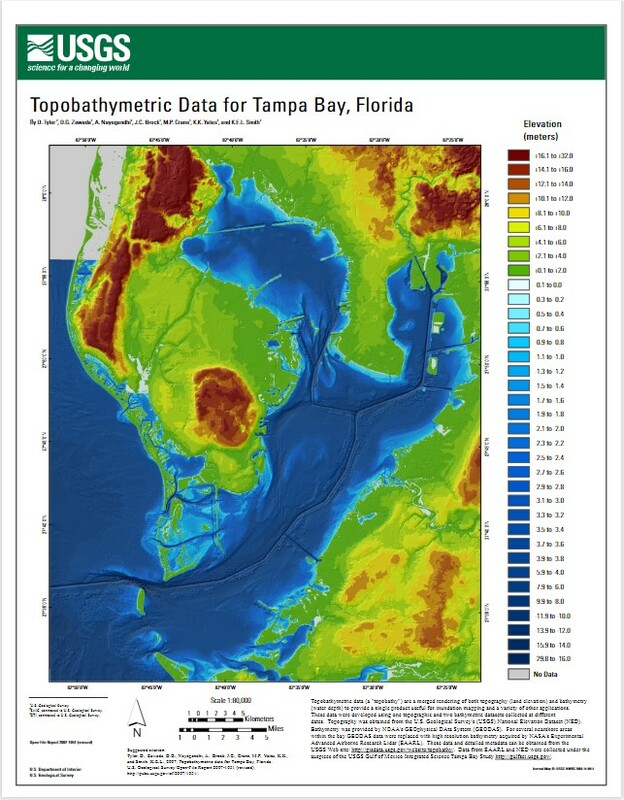 The multicolored map (which you can download here), a combined effort between the USGS and the National Oceanic and Atmospheric Administration, shows a merged rendering of both topography (land elevation) and bathymetry (water depth). As you might imagine, most of the land bordering the bay and the Gulf of Mexico is very green. And these days, as Kermit the Frog might say, it’s not easy being green on the topobathymetric map. Sea level rise represents a growing concern. Climate change and what causes it has arisen as a controversial term as we watch flooding, beach erosion and other issues grow more problematic. Plant reasons the discussion needs to move beyond the term climate change. “A lot of angst happens over those words. It’s almost a redundant term, right?” Plant explained. “Climate is a thing that has a lot of variability and there’s change embodied in that. So, I don’t think we should worry about that so much. The beauty of the center is that it’s a non-regulatory agency; a research organization that seeks not to settle debates but provide information essentially so people can make informed decisions that will maximize their resiliency. And understand, the Marine Center’s research is extensive, relying on a fleet of boats, jet skis, and divers. One day they’re on the ocean with a multi-beam sonar system, the next day they’re flying drones off the coast of Madeira Beach. It studies coral reefs in Key West, estuaries in Tampa Bay and marshes and wetlands on the inland. “There’s elevations in the water coming together to change the land surface,” Plant said. “Where does that go? Some of our job is to predict where is the land surface one storm away, one year away, one decade, one century. So, it’s basically a forecast of the fundamentals. And the expertise has grown since the center first opened 30 years ago. Reich, who started in 1992, was one of the earliest employees. In that time the center has expanded from one building and 30 employees to three buildings and more than 100 employees. Plant has been at the center for 10 years and two of the biggest changes he’s seen is younger scientists joining the staff and more women joining the staff. Plant and Reich said they also believe the USGS has extended beyond its classic science role and, as it has grown more cognizant of current issues, embraced applied science research to help answer questions. The impact of the growth and interest in the marine science community has been significant. The St. Pete Innovation District is an area comprised of many of the neighborhoods just south of downtown St. Petersburg. Within the district, the marine and environmental science community thrives, according to Alison Barlow, executive director of the district. The district shepherds the St. Petersburg Ocean Team, a consortium for more than 20 complementary firms, government entities, and institutions that are located near one another in what is now the largest marine science cluster in the Southeast. It is also one of the nation’s largest such industry clusters. The cluster now includes an estimated 1,700 employees, with 75 percent holding advanced degrees. The estimated economic impact, measured in Pinellas County’s Growth County Product, stands at $750 million, but officials expect to find it higher when a new study is complete. And much of the current success and growth can be traced back to one of the cornerstones: the St. Petersburg Coastal and Marine Science Center. While much of its mission focuses on elevation and water, Plant says people and ecosystems are the endpoints for almost everything it does. “It ties back to the rising tide principle,” Plant said. “We can’t do what we want to do by ourselves. There are two angles to that. One is, yes, we’ve grown but how do we get people. Essentially, a lot of them come out of universities. So, these young people are being trained and trained in the skills that are relevant to what we need to do. We can only grow because those people exist. The Rising Tide Innovation Center recognizes the success of St. Petersburg’s marine science community. With one of its co-owners, Leigh Fletcher, also owning water treatment facilities in the Caribbean, it hopes its cowork space can collaborate and play a role in helping further grow the cluster. I got busted today. I was hoovering down bites of salad out of a plastic container while finishing a project at my desk. In my defense, I was in a groove and didn’t want to break for lunch, but mid-bite, two prospective members dropped by to talk about jumping on board at Rising Tide Innovation Center. While touting the benefits of our coworking space, I was probably harboring shreds of lettuce in my teeth. Embarrassing. Turns out, I am not alone in my bad habit of eating-while-working. An estimated six out of 10 of today’s workers lunch at our desks, a trend so pervasive that a photographer even did an entire series on it for New York Magazine to shame us into changing our ways. Lunchpool is taking a different approach. Instead of forcing focused people out of their work mindset in the middle of the day, the company is developing an app to combine business networking with lunch. Abell and his team are developing an easy-to-use social app that not only gets people away from their desks, but utilizes lunchtime for connecting with like-minded professionals for networking. It works like this: users create a profile of general interests, workplace, job type, and skills, then they mark themselves as available for lunch. The app, currently in beta within Tampa Bay’s top culture-driven companies, then matches users based on geography, interests, and job type. From there, the ball’s in the individuals’ court to decide on a place and time to meet. All communication stays within the app, i.e., users don’t have to give out personal info if they’re not comfortable. Future iterations may include tie-ins to area restaurants and food delivery services. 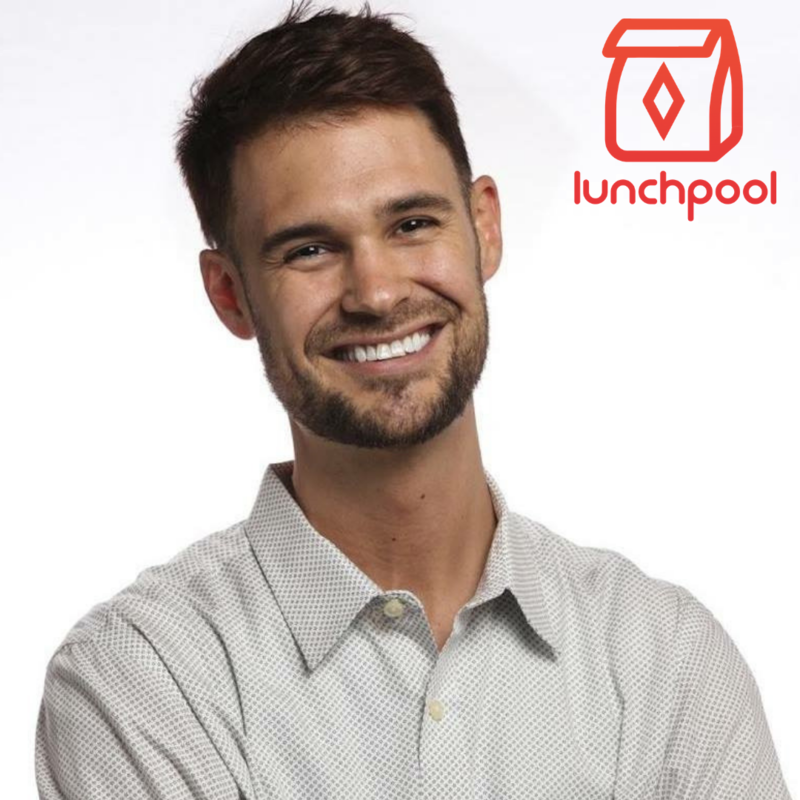 The developers at Lunchpool even visualize selling a B2B Lunchpool solution to large corporations to foster cross-department relationships via lunch meetups. Sound a little bit like Tinder-meets-LinkedIn? Alex gets it, and he predicts my inevitable question of why any of us needs yet another app to connect with people. “I totally get it,” he says agreeably. “I completely understand the irony of creating another thing to draw us into our phones in order to get us out connecting face-to-face with people.” He goes on to explain the modern challenges of interpersonal communication in a real-life setting using scientific-sounding sociological jargon, but what it boils down to is this: We are really bad at talking to each other anymore. (We all know this.) Meeting people is just hard these days, and it is exacerbated by everyone being glued to an electronic device seemingly every waking moment. (We also know this.) And a lot of us are not natural extroverts, so spontaneously walking up to a stranger in another department or at a restaurant feels … scary. (Some of us innately know this, even if we don’t understand why.) Lunchpool seeks to overcome this natural discomfort and take care of what is the hardest – ergo the scariest – part of meeting new people: the introduction. Considering 60 percent of us eat at our desks despite all the apps we already have, apparently, we do need another one. Lunchpool is finalizing its revenue models and will be shopping for investors within the year. 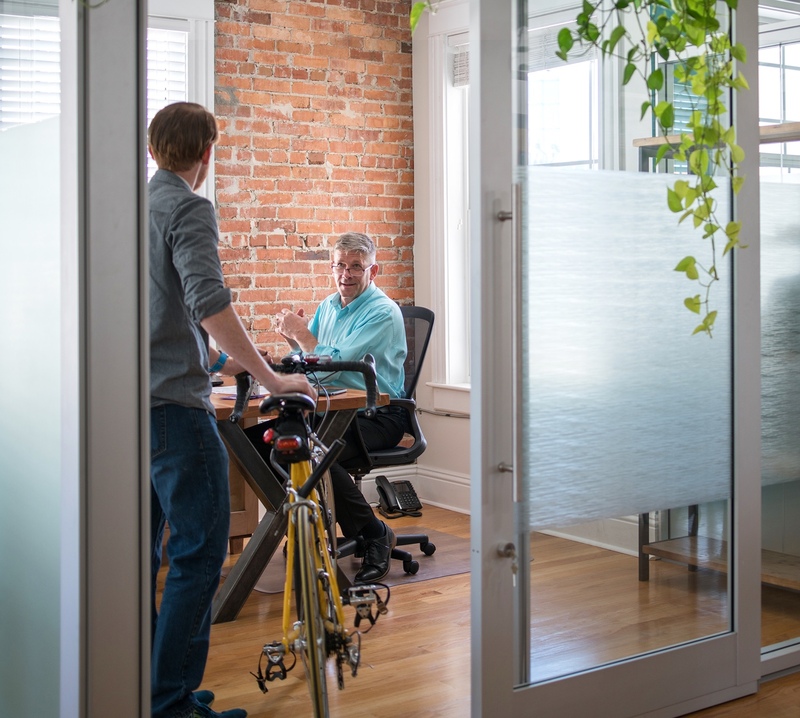 For now, they are using Rising Tide Innovation Center as their home base, and taking advantage of all the member benefits – business address, conference rooms, meeting space, collaborative work space, and office supplies – as they build the business. Abell plans on holding focus groups and meetups at Rising Tide as well, as they test out interfaces and features. Another draw for Lunchpool – the “Expert in Residence” program launching at Rising Tide, offering free access to Investors, lawyers, CPAs, pitch consultants, and entrepreneurial mentors – services they can capitalize on while ramping up to their product launch. A sense of community and purpose permeates the Rising Tide Innovation Center. Kari Ahlschwede stared intently at her computer as she prepared for a conference call. As a customer support lead for You Need A Budget, work can grow hectic. “Whenever she needs to step away for a moment of relaxation, Ahlschwede never has to stray. The “Room of Requirement” sits just feet from her standing desk inside the Rising Tide Innovation Center, an award-winning cowork space in the heart of downtown St. Petersburg. The Room of Requirement, named after the fictional secret chamber from the Harry Potter series, features bean bags, a relaxing chair and the kind tasteful décor you find throughout the Rising Tide Innovation Center. It’s just one of the features that helps the center not only draw clients but create an inviting atmosphere that fosters community and purpose. Rising Tide is distinguishing itself with collaborative efforts, networking events and a contagious spirit of community. Less than a year after law partners Leigh Fletcher, Tina Fischer and Anne Pollock merged their search for new offices with a desire to create a unique cowork space, Rising Tide thrives with more than 50 members. The law firm calls the center in the old McCrory building on St. Petersburg’s Central Avenue home. So too does media marketing specialists iSocrates, Equality Florida and the pretrial justice solution research company Luminosity. Valerie Lavin underscores the theme. She heads community development for Action Zone Tampa, a nonprofit that helps military veterans make the transition to entrepreneurship. Rising Tide partners with the organization with Military Mondays, which provides free coworking for military members and their family members. There are also one-off Mission in Motion workshops on Mondays, and it stages Fireside Fridays, an intimate gathering for veterans where they can pick up pearls of wisdom from successful entrepreneurs. For Fischer, herself a former veteran, creating time and space for military veterans was a goal. For Fletcher, who also owns multiple water treatment facilities in the Caribbean, connecting with St. Petersburg’s burgeoning marine science industry was a desire. She’s done that by opening the center to 500 Women Scientists, a group that meets monthly at the center. “You don’t have to be a woman,” said Merrie Beth Neely, the St. Petersburg pod coordinator for 500 Women Scientists. “If you’re pro women in science, our doors are completely open to you. If you’re a scientist at any career level – because our focus is job enhancement and helping scientists with their career skills – we could use mentors. If you’re job seeking, we can try to get you placed or give you tips for interviews and what you can expect. Working Women of Tampa Bay also periodically holds events at Rising Tide. In December, business coach Guenevere Morr presented, “Calling All Control Freaks (You Say Control Like It’s A Bad Thing). In February, it’ll present author and coach Liz Lopez, who will speak on “Permission to Dominate: Shattering Barriers for Women in Leadership. Working Women founder and executive director Jessica Rivelli appreciates that the center’s mission goes beyond just providing snacks and desks and copier machines. “I admire what the founders of Rising Tide are doing by creating a gathering space for entrepreneurs and executives to connect and create together,” Rivelli said. Of course, Rising Tide also draws the praise of independent workers like Ahlschwede who finds a home away from home at the center. Ahlschwede takes advantage of the center’s “Mavericks” category. That designation provides her with a dedicated desk/workspace and other accommodations such as work storage and access to the conference rooms. She needed it considering she lives in a sailboat at the nearby marina and needed a work space that wouldn’t be subject to wind currents and the occasional sea gull. She found it, ironically, at Rising Tide – where the oceanic themes match her love of the water. Attorney Omaira Dauta recently shifted from space she was renting from a firm in Kenwood to a dedicated desk at Rising Tide. She also raved about the downtown location, but echoed a theme expressed by many at the center. “There’s a different energy here than being in a more formal space,” Dauta said. The Breakers category provides members with hotspace desks, where they can drop in on the center’s open desk areas and get work done. There are some accoutrements — décor, furniture, snacks, Keurig machines, private phone booths – that many cowork spaces can boast about. But they might be hard-pressed to match the energy, the vibe and the sense of community being cultivated at the Rising Tide Innovation Center. Merrie Beth Neely can speak with expertise about fisheries, sea grasses, water quality, harmful aqua blooms and even the scientific appeal of the characters on The Big Bang Theory. It’s impressive for a woman who found a passion for sea life while growing up in landlocked Slippery Rock in Western Pennsylvania. Despite the expertise, however, the certified program manager, phytoplankton ecologist and oceanographer once found herself struggling to find a job in her chosen field after an unexpected 2012 layoff from a management job with the Consortium for Ocean Leadership in Washington, D.C.
Neely returned to Florida, where she earned a marine science undergraduate degree from the University of Tampa and graduate degrees (masters and doctoral) from the University of South Florida. She eventually regained her footing in the science industry. Now she’s the St. Petersburg pod coordinator for 500 Women Scientists, an organization bolstered by St. Petersburg’s burgeoning marine science industry. The group helps women navigate career opportunities in the science industry, much like Neely did back in 2012. 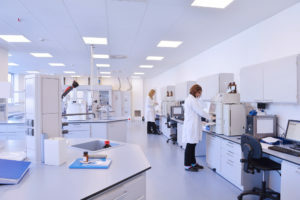 The organization, which holds monthly meetings at downtown St. Petersburg’s Rising Tide Innovation Center, seeks to make science open, inclusive, and accessible with three specific goals: empower women to grow to their full potential in science; increase scientific literacy through public engagement and advocate for equality in science. Neely recently spoke about the organization; the challenges women face in the industry and how women sometimes hurt themselves in the pursuit of jobs. What is it about the world of science that necessitates 500 Women Scientists? The group originally came about sort of around the Women’s March and in response to the disappointment of the Trump election, but I would say the movement has been building for a while – in particular the perceived attack on science in the Trump administration. The 500 Women Scientists found a niche at the intersection of the Women’s March and the March for Science. There have also been a lot of national, high profile reports commenting on gender and diversity and the sciences. It’s not where we would like to see it, is it? It’s definitely not, and there’s also a vast belief – we could owe it to hubris but sometimes it’s deeper than that – that as scientists we would never be subject to a bias because that’s what we strive for in science. We’re scientific, just the facts. We remove all bias. So, there’s been a state of denial, if you will, about gender and diversity problems in academia and science. These things all came together at the right time. What did a recent National Academy of Science study reveal about the topic? It reinforced the knowledge that sexual harassment occurs in the science sector and science is no different than any other sector. But it also gave recognition – which was really empowering to me – that the term gender harassment and belittling statements or sexist comments … in science on every level can be just as damaging as the original quid pro quo sexual harassment. Growing up in Western Pennsylvania with this desire to be a scientist, did anyone discourage you because of your gender? Was that gender-related or concern about making a career in a scientific field? It’s hard to tell. Within my family, I think it was probably both. Certainly, in school, undergraduate school, the faculty that I was presented with was 85 to 90 percent male. I saw opportunities presented to my male counterparts – maybe not overtly – but they were given opportunities in laboratories that I was not. Do you share those kinds of stories, tales of discrimination, at your 500 Women Scientists events? We have occasionally. We have a lot of younger members and a few of us that are more mature. It usually starts with career … so we talk about those scenarios. Sometimes we say, “Be careful. Don’t let them do this or that to you.” But we’re not man bashers. Basically, what we’re trying to do is help women advance in science fields. I recently saw supermodel Karlie Kloss on the Today show pushing for more girls to enter STEM fields. Do you feel like more women are being drawn to the field? Absolutely, and that’s great and certainly necessary. We feel like the STEM pipeline has been filled. That’s what a lot of employers and agencies and efforts recently have been aimed at, let’s get more undergraduate girls to enter STEM fields, and they’re graduating. More than 50 percent of the (USF) College of Marine Sciences are women and they have been for a while. But what happens when they get into their careers and they’re five years out from that degree. Are they still in a science? I can tell you there are a significant number of people that I went to graduate school with who have the same or similar degree that I do, and they are no longer in science. Most of those who have made a career change are women. They made the career change because they couldn’t find a viable job? They could find a job, but they couldn’t advance here in Florida. It’s sort of a dirty little secret in science here in Florida, the profound lack of pay in the natural sciences. It’s not across all sciences. You can make a lot of money in pharmaceuticals, in IT. In some aspects of traditional science, there’s an avenue to higher pay. But in life sciences, natural sciences and biology, the pay is terrible. You can do the same job for the state in Georgia that you do in Florida and you get paid 50 percent less. 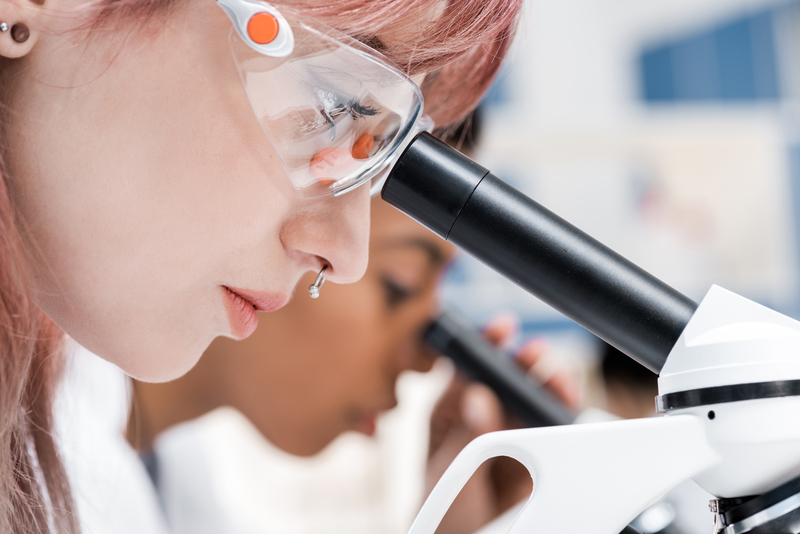 What’s one of the challenges women scientists encounter in trying to advance their careers? You also help coordinate the Tampa Bay Science Networking Happy Hour in St. Petersburg. Can a group of scientists really get together and have fun? We try to have fun. Nobody has been hauled away by the cops, but I always tell the establishment where we have it that we’ll clean up after ourselves. Do you think the television show The Big Bang Theory has helped the general public see scientists in a more likable perspective? We love it. It’s totally true. All of us scientists know one or more of those characters or the traits exhibited by those characters. In closing, tell me your sales pitch for 500 Women Scientists. You don’t have to be a woman. If you’re pro women in science, our doors are completely open to you. If you’re a scientist at any career level – because our focus is job enhancement and helping scientists with their career skills – we could use mentors. If you’re job seeking, we can try to get you placed or give you tips for interviews and what you can expect. It’s a lot of stuff they don’t teach you as scientists. And, we have a really cool location (with the Rising Tide Innovation Center). We love this place. Clean-up crews will ship more than 580,000 cubic yards of debris off the U.S. Virgin Islands this fall. That’s enough scattered pieces of waste and rubbish in the wake of two 2017 hurricanes that hit the islands to fill 175 Olympic-sized swimming pools. The mountain of debris reflects just how far the U.S. Virgin Islands, Puerto Rico and other Caribbean nations must climb as they continue to bounce back from the devastation of Hurricanes Irma and Maria. Fallen trees, downed power lines and flooded streets dotted miles of landscape after the Category 5 storms blew through within a two-week period. The hurricane double-dose overturned cars, sprinkled rubbish over the land like confetti and collapsed tin roofs like an accordion. The two hurricanes took lives, destroyed infrastructure, demolished housing and public facilities and gutted the tourist-based economies in many of the island nations. A year later finds blue tarps still resting in place of roofs. As the clean-up efforts continue, the USVI, Puerto Rico and other island nations face a complex question: How do they merge recovery with resilience? A group is pushing to rebuild infrastructure, so it not only brings back a sense of normalcy, but leaves the islands better prepared to handle the next major storm. Federal funding programs are in place to boost recovery, but the requirements of each program leave challenges in terms of addressing the planet’s changing dynamics. The USVI, Puerto Rico and the other nations will have to overcome obstacles to use the funds to deal with climate change and strengthen its resistance to catastrophic storms. But a movement is in place to bring about those improvements. Shortly after the hurricanes, the international community committed to making the Caribbean the world’s first climate-smart zone. In the last year, 26 countries and 40 private and public sector partners move towards the goal by creating a coalition to participate in the Caribbean Climate-Smart. Incorporate one or more of the Sustainable Development Goals in all major projects sponsored by participating governments. The Inter-American Development Bank has committed a billion dollars towards the accelerator’s goal of promoting a climate smart zone. Even though the U.S. Virgin Islands joined the coalition, the projects approved and funded thus far focus more on speeding recovery than meeting climate smart goals. The USVI expects to utilize $1.86 billion dollars of Community Development Block Grants for Disaster Recovery from the U.S. Department of Housing and Urban Development (HUD), and $2.47 billion dollars from Federal Emergency Management Agency to fund recovery efforts. Approximately a quarter of the HUD funds will be used for replacement of housing. The bulk of the other funds are directed to roadway and utility repair. The focus of the recovery projects in the USVI is consistent with federal policy. In the U.S., recovery resources are deployed under the auspices of FEMA in coordination with other federal agencies including HUD, the Small Business Administration, the Army Corps of Engineers, and the Environmental Protection Agency. The government rewards communities which have engaged in pre-disaster planning, but only encourages mitigation and adaptation as part of post-disaster recovery projects in limited circumstances. The Individual Assistance (IA) Program provides funds to homeowners shortly after a disaster to make temporary repairs to their homes. The funds, administered through FEMA, are designed to allow individuals to make their homes safe for habitation. The Public Assistance (PA) Program reimburses communities for repair costs related to public infrastructure and for costs of debris management and removal, but limits coverage to damage caused by the storm, not deferred maintenance. A sub-program known as the “406” can lend assistance, but it requires case-by-case assessments and cost-benefit analysis that can lead to delays. The third program is the Hazard Mitigation Grant Program (HMGP) which is a grant-based program designed to fund future storm mitigation efforts. However, the government links eligibility to disaster declarations, so even after it issues a grant award, receipt of these funds is often delayed. Historically, the process has been so cumbersome and uncertain that many homeowners choose not to participate. A second piece of federal legislation is the Disaster Mitigation Act of 2000. This act adds to and consolidates earlier programs for Flood Mitigation Assistance and the Severe Repetitive Loss Program and adds a pre-disaster mitigation program to fund proactive risk reduction in advance of a storm. The program is competitive, and funding is limited, so not all communities are awarded funds. After any disaster, there are also supplemental appropriations by Congress to fund the various agencies disaster relief efforts that are not covered under the Stafford Act. 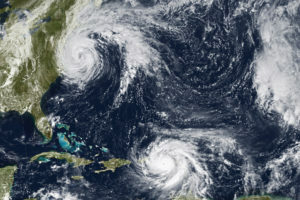 This highly political process involves lobbying by disaster-stricken communities and states, and in cases of multiple disasters in multiple jurisdictions, sometimes leads to competition for funds. Supplemental funds are awarded with general rules as to their use. A designated agency must administer the funds. These funds are directed toward perceived needs based on the impacts of disaster and can include costs of infrastructure repair and replacement, housing, social services, economic recovery and agriculture. Lead agencies can include HUD, FEMA, the US Army Corps of Engineers, EPA, or any other agency with responsibility under the National Response Framework and the National Disaster Response Framework. 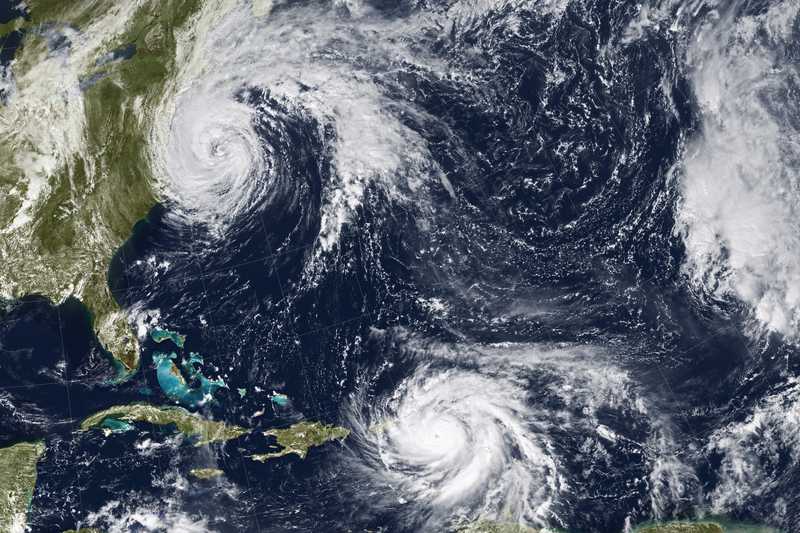 Federal agency disaster recovery efforts occur based on two interrelated frameworks. The National Response Framework is designed to address immediate disaster response to protect health, welfare and safety of disaster-stricken communities. The framework document can be retrieved at https://www.fema.gov/media-library-data/20130726-1914-25045-1246/final_national_response_framework_20130501.pdf. The National Disaster Response Framework (NDRF) is implemented following catastrophic disasters to coordinate long-term recovery efforts. The framework document (second edition) is accessible at: https://www.fema.gov/media-library-data/1466014998123-4bec8550930f774269e0c5968b120ba2/National_Disaster_Recovery_Framework2nd.pdf. It is through the latter framework that communities can begin to implement mitigation and adaptation efforts as part of disaster recovery. The NDRF appoints lead and supporting agencies based on these subject areas: Community Planning and Capacity Building, Economic, Health and Social Services, Infrastructure Systems, and Natural and Cultural Resources. The government tasks each lead agency with subject matter responsibility with developing pre-disaster programs designed to build relationships between state and local community disaster coordinators. Immediately after a disaster, these same agencies, under direction of FEMA, carry out immediate disaster recovery roles, and then, when the community is secure, transition to the longer-term programs for recovery planning. In all cases, the work on disaster recovery is supposed to involve the local community as well as state and territorial governments. The federal framework envisions federal agencies as facilitators and technical assistance. The timeline for agency action under the NDRF stretches over multiple years. However, the funding for these activities comes only from supplemental appropriations and annual agency appropriations in the federal budget. Thus, the effectiveness of the federal government in providing services related to mitigation and adaptation can be constrained by limited resources. Strengthen telecom towers and bury the aerial portions of the internet fiber that serves the territory. Rebuild seaports, expand container ports and add another customs office. Strengthen and modernize airport terminals. Harden and rehabilitate existing water distribution systems, including replacing old pipes. Rebuild schools and hospitals to withstand future storms. Develop a housing retrofit program for houses built before 1996. Diversify the energy system and develop microgrids for critical facilities. Develop cloud based back up of government records. Switch to buried cables for all government offices. Conduct a territory wide drainage study. Add redundancy to the wastewater system. Reform energy power purchase process. Install back-up generators at critical facilities. Create an emergency operations center. Many of these recommendations would further climate-smart initiatives. However, implementing the recommendations will require pairing local funding with federal disaster relief. The limitations on federal funding, as described above, will pose a challenge. For instance, rehabilitation of existing water distribution systems and closing the landfill, which has operated under EPA consent order for many years, may not qualify for federal disaster relief funds as both projects relate to pre-existing infrastructure deficiencies. At the same time, because the USVI economy continues to struggle with approximately 50 percent of hotels inoperable due to storm damage, and job loss at 7.8 percent since the hurricanes, local funding is also limited. The combination of federal regulations and limited local funding make it unclear how much progress will be made in the USVI towards the creation of a climate-smart zone. It also remains to be seen how successful other Caribbean islands will be in reaching that goal, as the resources available to many countries are much more limited than those available in the U.S. territories. Hopefully, the Climate-Smart Accelerator will provide the vehicle to rebuild a resilient Caribbean, and the international community and the private sector will step in to fill the gaps in government recovery programs. CREW Tampa Bay (Commercial Real Estate Women Tampa Bay), a premier community organization supporting women in the primarily male dominated commercial real estate industry awarded Rising Tide Innovation Center their coveted Community Impact Award at their annual Excellence Awards gala. 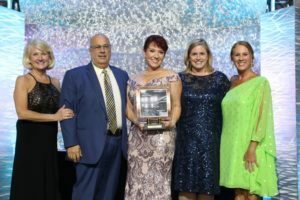 The Community Impact Award is bestowed upon an individual or organization who promotes economic development or fosters the overall social and economic interest of our community and quality of life. Business plans come in all shapes and sizes, depending on their purpose. Lenders typically require much more formal and detailed business plans, complete with financial projections, tax returns, and other financial records and disclosures attached. The Small Business Administration (SBA), in particular, since it guarantees government-backed loans, expects to see a voluminous and detailed business plan and presentation. Just when you think you have it nailed, they are likely to ask for some more documents. Venture capitalists and investors will eventually want to see all the details of your plan, but initially, they are going to want to see a presentation that captures their imagination. Some just want you to get right to the numbers—or at least that’s what they say. Read “Pitch Anything,” by Oren Klaff, though, before you buy that line. Marketers and agencies who’ll be running your campaigns, on the other hand, will want to know all about your ideal clients/target audience, unique sales proposition, competitors and the like, but won’t care at all about your personal tax returns from 2008. So, if you are getting ready to start a business, do you need a business plan? And if you do, what type of business plan, exactly do you need? The answer to the first question is: Yes, you need a plan. Think of it this way. If we were to start out on a road trip, let’s say from St. Petersburg to Las Vegas, and we just hopped in the car and began driving without a map or a GPS or any directions at all, we might eventually wind up in Vegas. Or not. Of course, if we did make it, it would take you a whole lot longer, and we likely would wind up going down many, many wrong paths and getting lost before we got there. But, if we put the address to our destination in the GPS and let it map out the exact route, well, we still might take a wrong turn here or there, but we’d likely course-correct pretty quickly and get back on the right road faster. In no time (35 hours, exactly, if we didn’t stop), we’d end up in in Vegas, partying our asses off at The Bellagio. It’s the same with a business plan. We could build a business without a plan, but with a plan makes a whole lot more sense. The next step, then, is to decide what kind of plan you need. If you are seeking funding, then you need to find out from the potential source of your funding what they would expect to see in a plan because, as stated earlier, lenders and investors can be picky. If, however, you just need a plan for YOU, and you really aren’t that great at planning or excited about it, then try this simple, one-page business plan to help you get started. Set aside a morning, with a fresh cup of coffee and no distractions, to work on your simple plan. The purpose of this plan is to help you get your business idea down on paper and out of your head so you can start assessing its viability. This is not a be-all-end-all plan, it’s a starting point. Over time, you may want to elaborate on this plan. 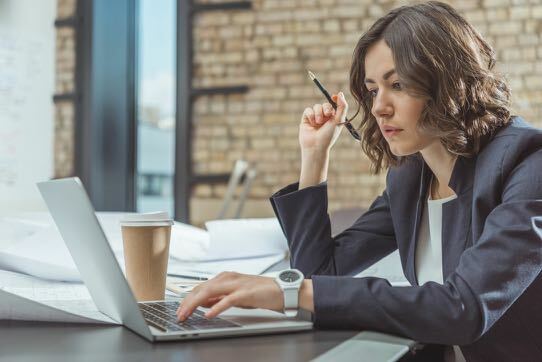 When you are ready, you can check of resources like SCORE, a service of the SBA designed to help small business owners with issues like preparing business plans, or you can buy a few books (there are many on Amazon), or simply Google “business plans for small businesses,” and you’ll find lots of options. Ready to get started? Click here for your plan. The wafting aroma is the first to invade your senses. Your fingers warm to the touch, twitching in anticipation. You raise the cup, eager to ignite your taste buds and spark your adrenaline. You don’t just want it, you crave it. Every morning, millions start the day with all the prerequisites: shower, dress, drive. The day doesn’t really start, however, until that first sip of coffee. According to the National Coffee Association, the number of Americans who drink coffee on a daily basis rose to 62 percent in 2017. On average, coffee drinkers spend about $1,000 a year on coffee at $3 a pop. We love our magic coffee beans, partially because they taste like manna from heaven, but mainly because coffee revs us up like hi-test gasoline. The truth is, however, as an entrepreneur, it is not caffeine that really gets you going in the morning. The true source of any entrepreneur’s motivation is an internal spark that drives you toward success. You need a different kind of brew coursing through your veins—no less desirable, no less delicious—but more plentiful and abundant. It’s your “why,” an internal java you can use to tap into during moments of challenge, to help push beyond your comfort zone and, ultimately, to achieve your goals. Your “why” is the reason you started this business in the first place, and it goes far beyond the bottom-line. It is about what’s at the heart of your entrepreneurial actions. While your “why” may explain your desire for those tangibles, it’s about more than a single word, like money or fame or success. Understand, however, your why, your internal cup of coffee, must be a special blend. It’s not some manufactured instant brand you’re dumping out of a tin can and into a coffee maker. It’s a matter of marrying five special tenets together to create the perfect entrepreneurial pot of everyday inspiration. Every entrepreneur needs to envision what they hope to achieve. It’s good to have always dreamed of owning your own business. Now that you’ve embarked on the journey, what’s the destination? What are you striving to achieve? The more clarity you can include in the answer, the more you can heighten the possibilities. To be successful is too vague. You need specific benchmarks, perhaps noting how much you want to make in Year 1, Year 3 and Year 5. Or how many clients you want to attain in those some periods. Why does vision need to be in the blend? Because reaching those milestones will keep you going? Now that you’ve targeted a destination, what’s the mode of transportation. Hard work, of course, will be at the core, but your internal belief system will dictate how you reach those benchmarks. Will you do so with integrity and care for others, creating a foundation that will boost your future? Will you keep your principles at the forefront of your decision-making, never losing sight of what’s more important? Knowing that you’re guided by key standards will fuel your drive. Why do values need to be in the blend? Because how you succeed is more important than success alone. The word immediately conjures visions of inherent, God-given gifts: Michael Jackson moonwalking across the stage. If you’re bringing natural abilities to the entrepreneurial effort, great. Talent, however, also can be acquired through training. The biggest key is determining the skills you need to succeed, taking a concise inventory of your strengths and weaknesses and then working to supplement them. Why does talent need to be in the blend? Because there’s always room for improvement. Your vision, your values and your talent all must be rooted in your passion. It’s the most essential ingredient in your special blend of why. Passion will make you sharpen your vision, elevate your values and enhance your talent. That love will make it seem like the blood, sweat and tears you’re putting in every day is worth it. It’ll spur you to complete the mundane tasks and nurture your euphoria when you’re truly doing what you love. Why does passion need to be in the blend? Because Mark Twain said, “Find a job you love, and you’ll never work a day in your life. No one succeeds on their own. The greatest entrepreneurs had mentors who lent advice, friends who carried them through the struggles and even acquaintances who told them “no” when they needed a dose of reality. No one, especially those just starting their own business, has all the answers. But your “why” is built around a never-ending quest to find those answers. Why does community need to be in the blend? Because asking the right question and asking the right person can be more important than thinking you have the right answer. At Rising Tide Innovation Center, our “why” centers on our passion for community. We’ve invested in this co-work space not out of necessity, but because building community excites and enriches us. In a word, our “why” is you. We’re passionate about creating a community to support entrepreneurs like you in making your dreams come true so that, together, we can create a positive impact on the world. It’s why we can’t wait to leap out of bed in the morning. Well, that, and our cappuccino.